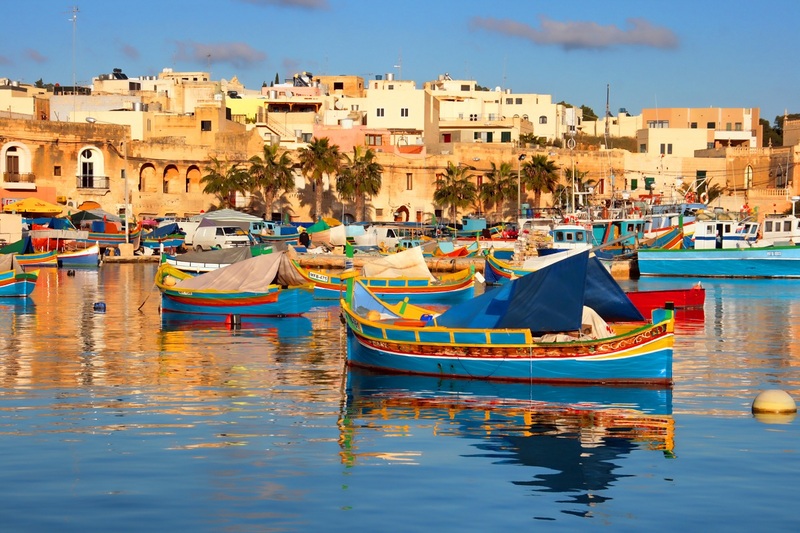 Malta is a wonderful Mediterranean archipelago filled with enthralling historical treasures, magnificent sites, incredible marinas, colorful streets dotted with open-air restaurants, sandcastle-like rock formations, dramatic beaches and plenty of Instagram-worthy sites. The words run dry to describe Malta’s charm and elegance. Photographers, here is the wonderland to show your skills. Get your flight or set sail to explore this ‘the sun and the sea’ (year-round sunshine and amazing blue seas) destination and capture these most Instagram destinations of Malta live. Popeye Village – A Must Visit for All Young Hearts Out There! Have you ever been dreaming of picturesque location for your fairytale wedding? Let your dream come to life in Popeye Village. 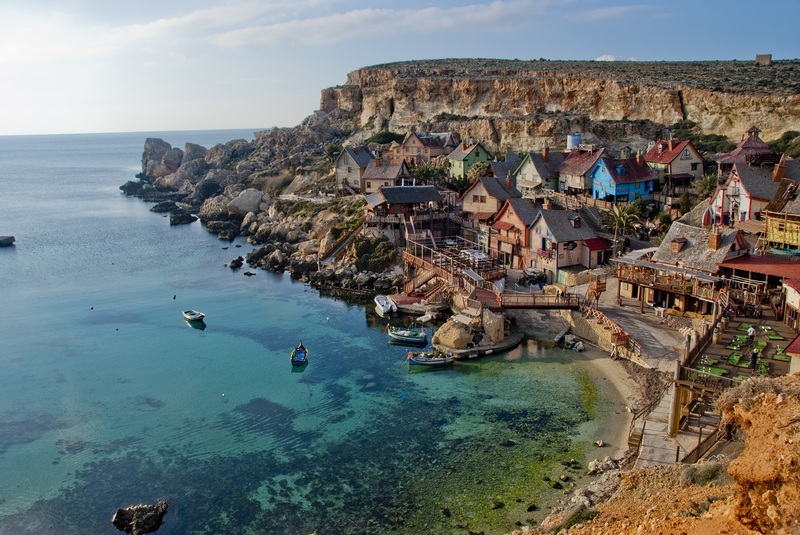 After hearing the name Popeye Village, are you reminded of the famous comic characters of Popeye? Yes, the movie Popeye was filmed here a few decades ago. And it is one of the coolest destinations to celebrate your wedding anniversary. It is a traditional fishing village with its brightly painted Luzzus (fishing boats). 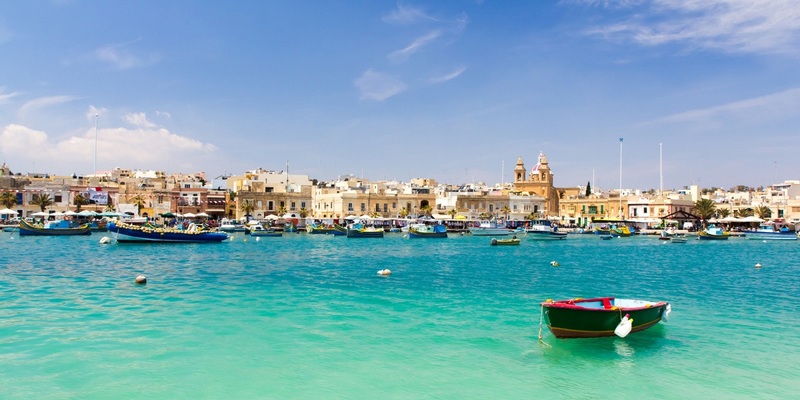 Picture perfect Marsaxlokk never disappoints you when you click, which is why it is one of the most Instagrammed locations in Malta. 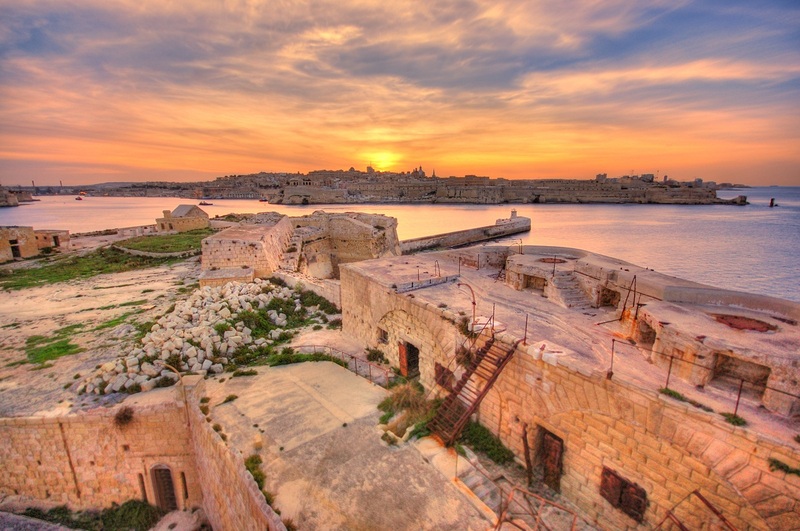 Exploring Valletta is like stepping back into history. And it is impossible to miss the cobbled backstreets of Valletta. 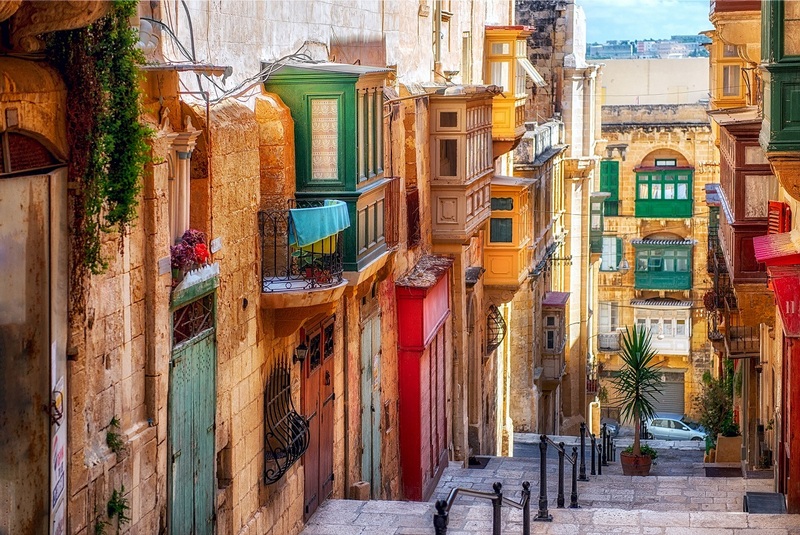 Just take a stroll in the streets, and you’ll feel that Valletta is picturesque like nothing else. Are you a movie buff? Then you must guess the movies. Yes, few featured and striking scenes from films such as Game of Thrones, Gladiator, Assassins’ Creed, Agora, and Troy have been captured at the Fort Ricasoli. 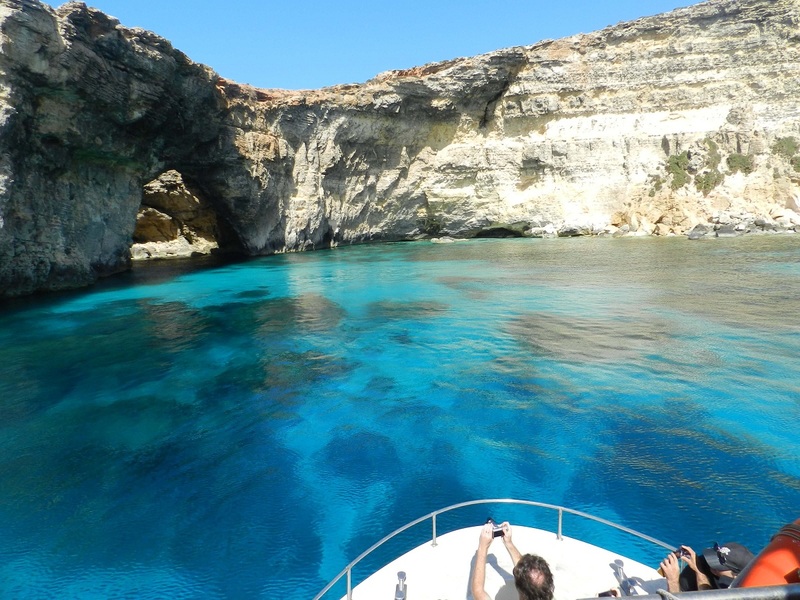 Malta’s Blue Lagoon is located on the island of Comino. Since it is surrounded by rock and sand, it just looks like a pool. It is a slice of paradise for swimmers and water sports lovers. It takes approximately 20 minutes to get there from the mainland via ferry. Bring your underwater camera for more exciting photos to become insta-famous. 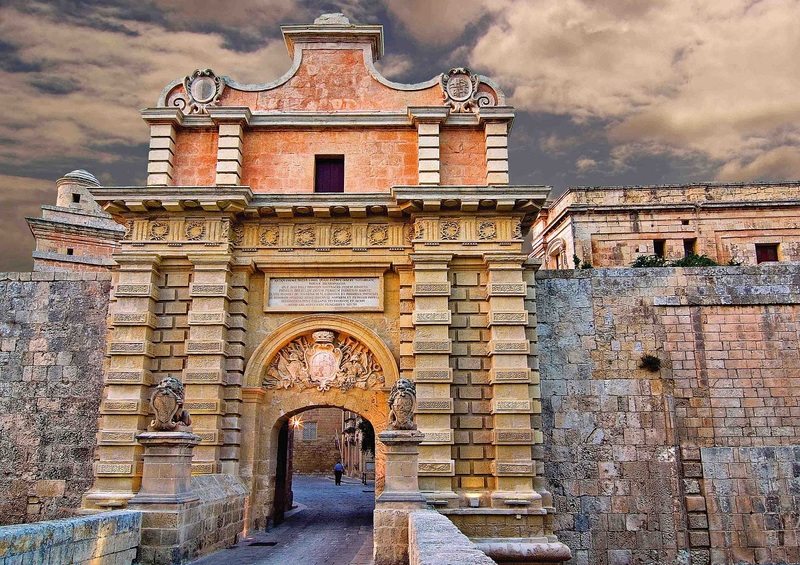 Mdina Fortress Gate is seen in the most iconic scenes of Game of Thrones. Get your HD cameras and pose like celebrities in front of the gate and become insta-famous. Left But Not Forgotten! Don’t Miss to Click the Azure Window! 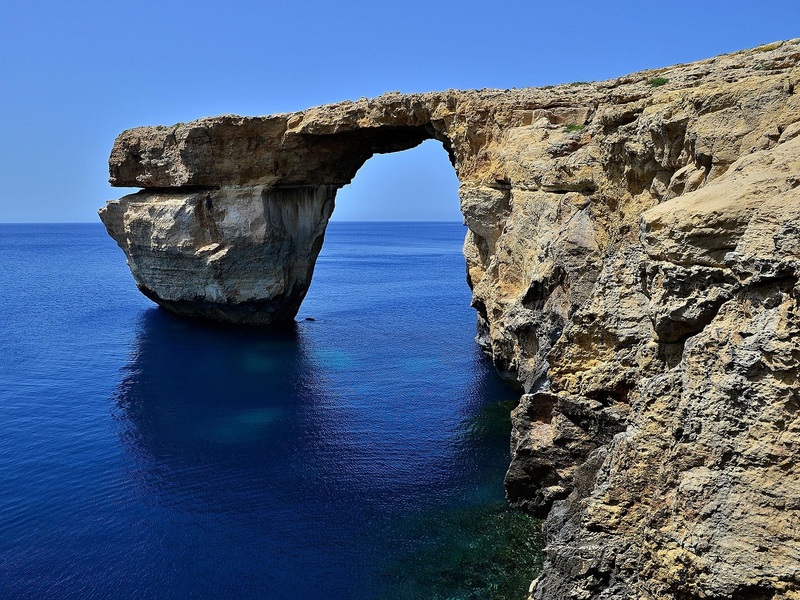 Azure Window is a gorgeous stretch located in the island of Gozo. This collapsed into the sea in March 2017. This is a famous attraction with a beautiful backdrop of bright blue-green waters. Its beauty never fades; with or without window. 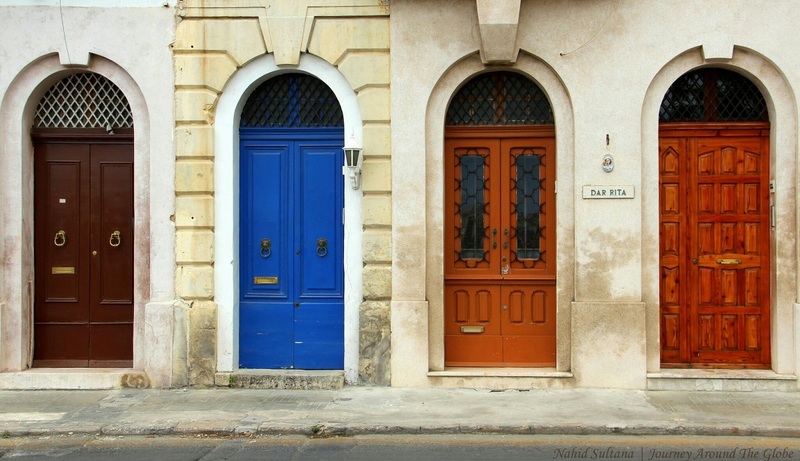 Click the Colorful Maltese Doors! From the balconies to doors, benches to boats, Malta is a famous country for its colors. Get a pic posing in front of the country’s vibrant doors crawling with flower-filled vines. 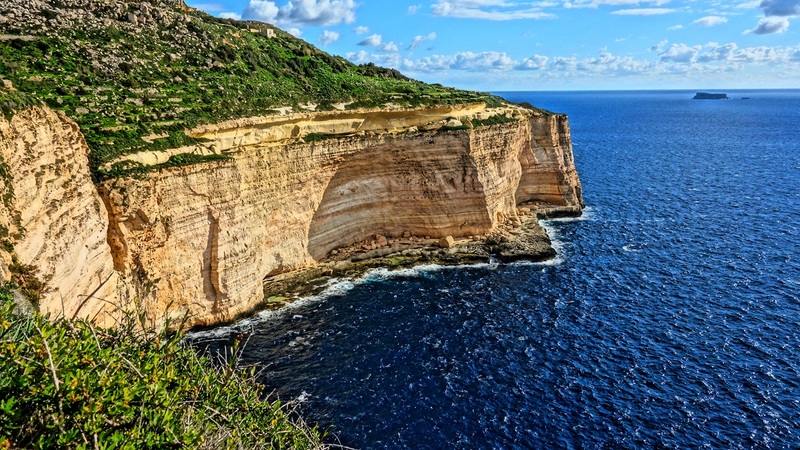 Dingli Cliffs are located on Malta’s Western coast. It is the highest point on the Maltese Islands and located 253 metres above sea-level. Enjoy hours of walking or relaxation at the cliffs. The Dingli Cliffs are more attractive especially during sunset and summer days. No filters, just pure beauty of Malta. All these Maltese destinations offer perfect photo opportunities and are certainly best spots for your Insta feed. 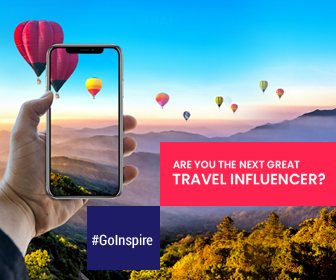 So when are you feeding your Instagram with awesome clicks from Malta.